WaterWorks™ Chloride Check is the most advanced chloride test strip available today. Designed to verify EPA guidelines for chloride, the Chloride Check test strips are easy and safe to use without sacrificing performance and reliability. Measuring levels from 0-500 ppm (mg/L), Chloride Check promises to replace conventional measuring techniques in situations where meters or traditional wet tests would prove too cumbersome. Product Manufactured in the United States by Industrial Test Systems, Inc. In recent years scientists studying the effects of certain industrial activities have loosely linked changes in chloride concentrations found in bodies of water (both above and below ground) near those activities to those industrial activities. 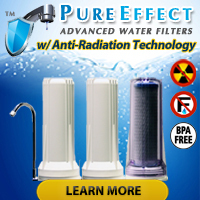 Accordingly, researchers have determined that extreme changes in chloride concentrations found in a water supply definitely merit further investigation and more in-depth testing of the water supply. As an example, some researchers studying the effects of hydraulic fracturing (aka: fracking, the practice of injecting water an chemicals deep into the Earth at high pressures to liberate natural gas from shale formations) on surface and ground water believe that sudden changes in chloride levels may occur as a direct or indirect result of hydraulic fracturing and suggest performing other testing if a private well owner notices a change in chloride levels in his/her well water. 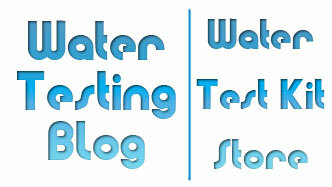 « Do You Carry a Complete Test Kit for Well Water?